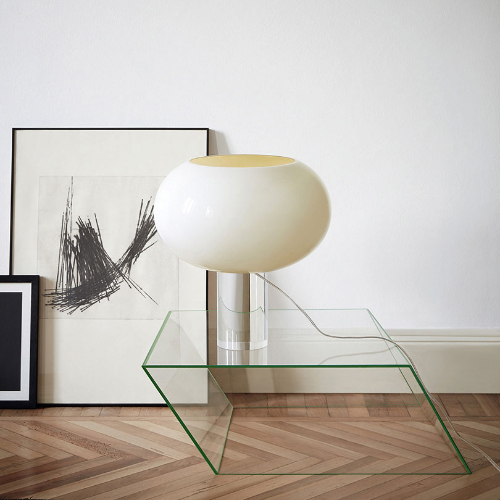 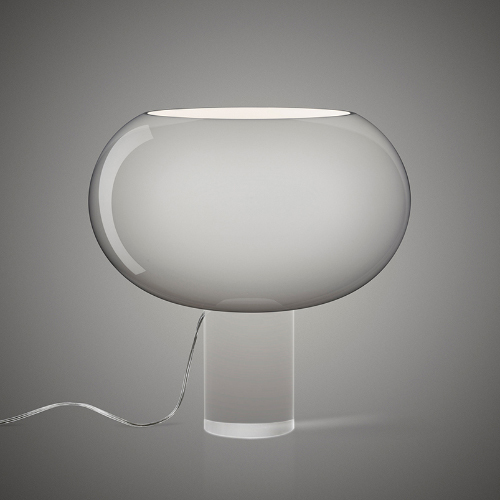 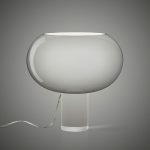 Sophisticated wealth and valuable materials: in Buds, blown glass plays the starring role, combined with a transparent base that emphasises its pure shapes. 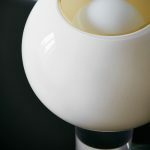 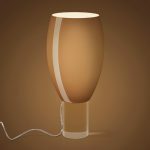 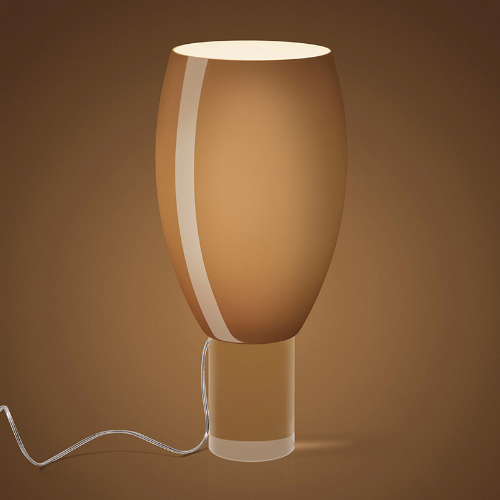 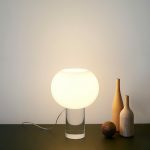 Buds 1 has a more elongated shape, in brown or warm white, colours that change according to when the lamp is on or off. Buds 2 is the largest in the family, with a generously sized glass in grey or warm white. 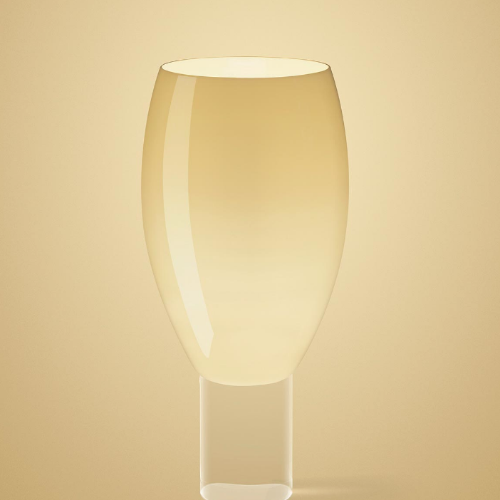 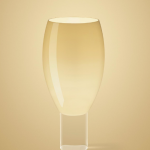 Buds 3 is the smallest of the lot: the colour of its glass is a characteristic bamboo green or warm white.